The GCA 6000 family of steppers (6100, 6300 etc) used a 9289 interface chassis and a Master Operating Programme (MOP) version 5.0x running on a DEC LSI-11/23. 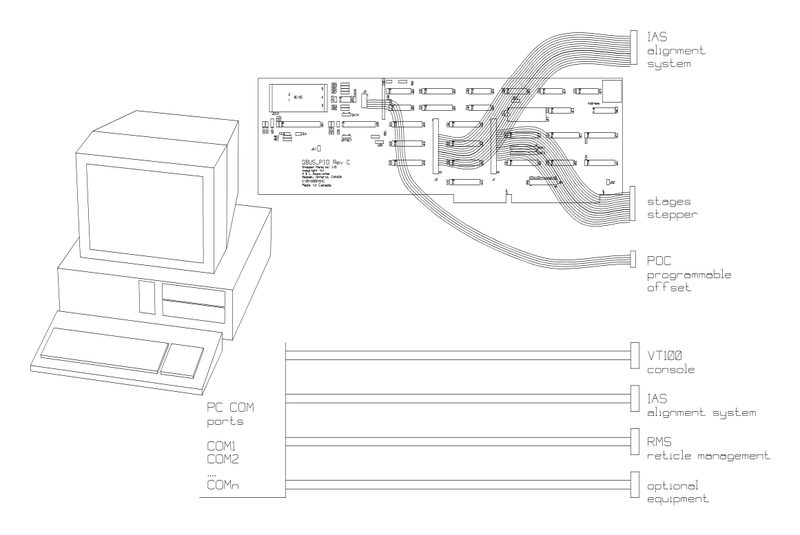 Our UPG6000 upgrade kit allows the user to remove and discard the RX50 floppy drives, hard drives, the minicomputer and the VT100 console terminal. When controlling the stepper, the user interface will appear exactly as in the original equipment, except that standard DOS files replace the disk drives and the PC keyboard and monitor replace the VT100.